US Latino power at the marketplace is well documented. The purchasing power of these Latinos is comparable to the world’s eighth largest economy, according to LDC and IMF 2015 GDP estimates. In 2015, US Latinos pumped an estimated $2.13 trillion into the US economy, as reported in the 2017 Latino GDP Report. Despite this power and a strong Latino talent pool, only 2 percent of Fortune 1000 company board seats are held by US Latinos and 0.5 percent are held by US Latinas, according to a 2016 report by Korn Ferry. The Latino Corporate Directors Association (LCDA), in partnership with its Latino Corporate Directors Education Foundation (LCDEF), is hoping to change those metrics. In 2017, the LCDA announced its inaugural BoardReady Institute (BRI), which is an exclusive, invitation-only engagement for US Latino C-suite executives and top leaders interested in serving on corporate boards. The BRI will prepare, network, and position high-caliber US Latino talent from a variety of industries and professions for corporate board service. Participants dove into the program with the LCDA Annual Board Leaders Convening on November 1-3, 2017. Hispanic Executive caught up with two participants—Intel’s Jose Alvaro Avalos and Merck’s Maria Rivas—to discuss their excitement for this new program and the importance of Latinos serving on corporate boards. In 1978, Jose Alvaro Avalos immigrated to Chicago from La Barca, Jalisco, Mexico, at thirteen years old. His parents enrolled him in the bilingual program at Benito Juarez High School, where all of his classes were taught in Spanish. It was while he was working at a watermelon warehouse that it became clear to him that he needed to be highly proficient in English and attend college. It was the former assistant dean at the University of Illinois Champaign-Urbana, Paul E. Parker, who came to his rescue. 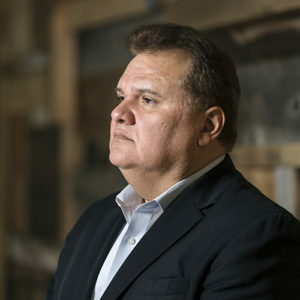 The dean, who was director of the Minority Engineering Program at the university, believed in Avalos and helped him get scholarships and a job tutoring other students in math and engineering. “I struggled with the English language, so I picked electrical engineering because I found safety in numbers,” he says. Now, Avalos is the vice president of the Internet of Things Group (IOTG) and the general manager of the visual retail business. He also founded the digital signage business at Intel in 2009, and this business has since evolved into visual retail. Visual retail is an important IOTG growth business for Intel, and Avalos’s team helps define and create the future of visual solutions for customers. My parents have been an amazing inspiration. They are in their fifty-fourth year of marriage, and they taught me the value of respect, integrity, honesty, education, and work ethic. My entire family continues to be a great source of support and inspiration. At Intel, I have been very blessed because I had the opportunity to work with and for excellent leaders and role models. For example, Intel’s fifth CEO, Paul S. Otellini, was my mentor for a few years. He encouraged me to attend the General Management Executive Program at Harvard Business School. Doug Davis, Intel’s senior vice president, was the first executive to believe in me. He promoted me to engineering supervisor and middle management positions early in my career. Recently, he helped sponsor my vice president promotion. He also sponsored my master’s degree in electrical engineering from Arizona State University while I was working full time as an engineering manager. Finally, Joe Jensen, Intel’s vice president, sponsored my team and me as we established and developed the digital signage business at Intel. Why did you choose to accept the BRI invitation? First, just being invited to participate in the founding class of the BRI is a great honor. It is very humbling to be able to learn and work with the LCDA members. This amazing group of Latino leaders is positively impacting American business, government, culture, and society. Second, in my day-to-day business, I see millennials and young consumers wanting to not only have conversations with brands but also wanting to help shape the evolution of the brands. I think technology via analytics, artificial intelligence, and other capabilities can provide the connection that will allow brands to have that conversation with consumers. Additionally, I see young people focusing more on experiences. I also think technology can help businesses bring those experiences to consumers in efficient and effective ways. What do you hope to accomplish after the completion the program? Has being a board director always been a goal of yours? Yes, this has been my goal for the past twenty years. I’m currently representing Intel at the Digital Place-Based Advertising Association (DPAA) Board of Directors. This association leads the Digital Place-Based and Digital Out of Home (DOOH) industry marketing to consumers outside the home. Additionally, I have represented Intel on various boards of directors and advisory boards including Mexico’s IT Industry Association, Hispanic Association of Corporate Responsibility Corporate Executive Forum, Arizona State University W.P. Carey School of Business Center for Services Leadership, Digital Signage Association, Arizona’s Hispanic Chamber of Commerce, and SEMATECH’s Known Good Die program. In your own words, why is it important to have more Latino board directors? To shape the future of technology, tech companies and their board of directors must be representative of that future. Demographically and economically, Hispanics are a growing force in the United States. Studies show that Hispanics will account for most of the country’s future growth for the next thirty-five years. By having a board with a wide range of perspectives, backgrounds, and experiences, we can better innovate and drive the future. To paraphrase Dr. Martin Luther King Jr., I look forward to an America where all people are judged only on their capabilities and are afforded access to opportunities at all levels of corporate leadership. 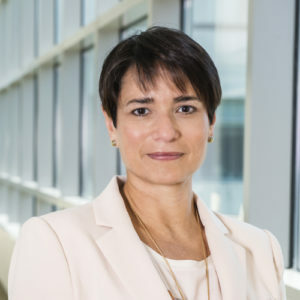 As senior vice president for global medical affairs at Merck, Rivas leads a large group of medical and clinical staff around the world who ensure that governments, healthcare systems, physicians, and patients understand how to properly use Merck’s medicinal products. Her team also ensures that the medical information on Merck’s products accurately reflects the potential benefits and risks. I was first inspired by the wonderful faculty at Columbia University’s medical school. In particular, I was very influenced by the female faculty at Columbia’s teaching hospital, NewYork-Presbyterian Hospital. As a young woman, it was very inspiring to see highly accomplished and smart women who managed to balance a prominent teaching career and family. Throughout my career in the pharmaceutical industry, I have been further inspired by various mentors, highly ethical physicians, scientists, and business leaders who always keep in mind what is at the core of our business: the patient. The BRI program and networking opportunities will help me prepare for a position in a corporate boardroom. After nineteen years in the pharmaceutical industry, I feel intellectually and mentally ready to assume the responsibilities of a corporate board. What do you hope to learn during the course of the program? I hope to gain a deeper understanding of board member duties. An area of particular interest for me is risk management. I also look forward to connecting with fellow Institute alumni and LCDA members. Being a board director has become a goal of mine in the past few years as I have become adept at managing global and complex organizations in a highly regulated and ethical business. Corporate boards benefit from a diversity of perspectives and experiences and the different thinking of board members from a variety of backgrounds. A company’s long-term performance depends on the company’s ability to deliver value to an increasingly diverse constituency.